Accredited, multi-media online course. Study from anywhere in the world. The natural and organic beauty market is a rapidly-growing global industry—and in fact, it’s one of the fastest-growing in the cosmetics sector. An ever-increasing market of natural beauty lovers is searching for natural haircare solutions that avoid synthetic ingredients and harsh detergents, like SLS. They’re fed up with experiencing problems and irritation, and not finding solutions. They’re frustrated with products that don’t match their values, or don’t actually do what they say they will do. Natural beauty lovers don’t want to compromise between products that work and products that support their most cherished values. 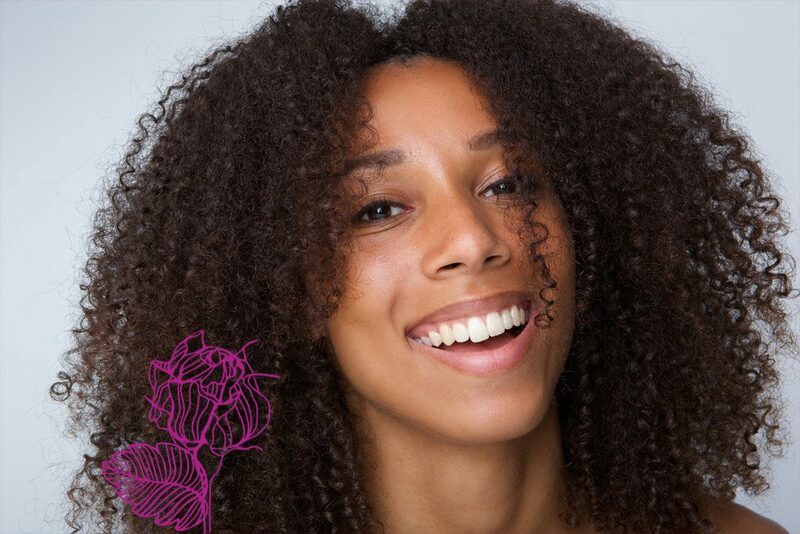 Customers want haircare products that give them healthy, soft, and radiant hair that isn’t weighed down or greasy. They’re looking for products that improve the health of the hair and scalp. Many turn to making their own products—but DIY methods with castile soap, baking soda, coconut milk, and harsh vinegars fall short of expectations. You want to be able to offer new and exciting haircare products to your customers. You want your brand to reflect your values, using high-quality, natural, and organic ingredients. You want to finally find the answer to your haircare struggles, and create the products of your dreams. We’ve heard these very same frustrations from many of our students, and we understand. Haircare formulation isn’t impossible to do at home, but you do need to understand the science and the process before you begin, if you want your products to function properly. Unlike more straightforward products, like lotions or body butters, haircare products require specialized knowledge—and it isn’t impossible to learn! "My first and only attempts at making castile-soap shampoo left me with crazy, frizzy, monster hair..."
"My homemade coconut oil shampoo left my scalp itchy and my hair gunky. Coconut milk left my hair too greasy..."
"I'm frustrated. Everything I've tried just dries out my hair, gives it a rough texture, or just weighs it down..."
"My hair needs more than just apple cider vinegar. It needs moisture, but nothing's worked..."
Do any of these problems sound familiar? It can be so frustrating to try again and again, and not know how to fix your formulation problems—or even identify what’s causing the issue in the first place! Say goodbye to frizzy hair, itchy scalp, and products that don’t work! The Diploma in Natural Haircare Formulation takes you step-by-step through everything you need to know to formulate your own custom, high-performance shampoos and creamy, perfect conditioners. Learn from experienced and professional formulators and be supported each step along the way. How to make shampoo without harsh sulfates like SLS, and instead discover a wide variety of gentle, natural surfactants. About the characteristics and needs of different hair types, and how to customize your formulations to suit them. Real information about what the scalp needs to be healthy. The functions, properties, and benefits of a wide range of natural and organic haircare ingredients, so you can select ingredients for your formulations with confidence. How to formulate effective and professional shampoos, conditioners, and hair treatments that leave hair strong, healthy, and shiny. “I am enjoying the lessons and demonstrations tremendously. This course really has it all! I am a visual learner so the way I study is to watch the videos and then read the textbook to emphasize on what I’ve learned, and then take lots of notes which the activity sheets really helped with! I have absolutely LOVED this course; thank you so much! If you want to make your own haircare products, gain the skills to formulate your own custom solutions in a way that is creative, rewarding, and in line with your values, the Diploma in Natural Haircare Formulation is for you. You’re a natural & organic beauty enthusiast who is very specific about the products and ingredients you put on your skin. Maybe there’s a specific haircare concern you’ve always struggled with, but there just isn’t a product out there that speaks to your values, while providing the benefits you need. You want to learn how to create those dream products and finally know the secrets to happy hair, scalp, and skin—without using chemicals and ingredients you don’t like! 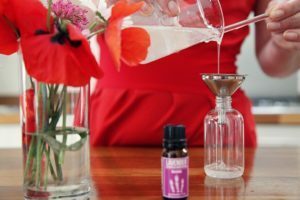 You’re a beauty enthusiast who dreams of one day launching your own brand, and you want to learn how to create professional-quality, unique, and meaningful organic and natural products. You’re ready to upgrade from DIY to professional skills and training. You may already making your own natural skincare products, and maybe have made some body butters, balms, lotions or creams, but you’re ready to get more serious and professional—and branch out into haircare, too. You’re already selling your products, and want to diversify your range. You want to offer something that very few others are offering, fulfil customer requests, and provide more value to your current customers, while attracting a whole new range of people who are specifically looking for haircare and scalp solutions. You know you need the training to do it right, right from the start, and you are ready to take your brand to the next level. Get Connected: Our private student & graduate online community is there for you, every step of the way! Study from anywhere in the world, at your own pace—but never feel like you’re on your own! Our students benefit from a wonderful private online community, where they can chat directly with tutors, graduates, and other students. It’s one of the benefits that our students bring up, again and again, as a factor that helped them succeed. If you’ve been trying to study on your own, or if courses and information just aren’t available in your area, an online course is a perfect fit. Nothing can compare with the knowledge you get from this course! “I have a very sensitive scalp and nothing on the market has helped me so far. I joined the course to expand my knowledge in formulating my own shampoos, and now I’m probably going to change my career path. Before taking the Diploma in Natural Haircare Formulation, I had no idea about formulations. I tried some recipes on the internet, but nothing can compare with the knowledge you get from this course. It is a wonderful way to attain the essential knowledge required to begin your journey as an organic haircare formulator. 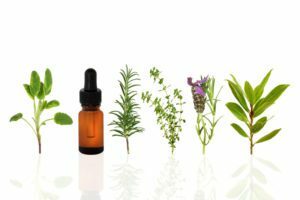 Who is the School of Natural Skincare? 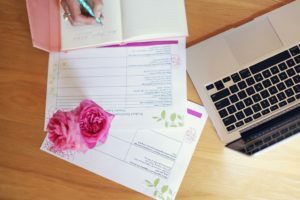 The School’s team of expert tutors include a Cosmetic Scientist, Cosmetic Formulators, Aromatherapist, Beauty Business Expert and Safety Assessor and all are passionate about helping you create beautiful products and thriving businesses. Founded in 2010, the School has trained 5,000+ students in 120+ countries to make their own natural and organic skincare products and launch successful businesses. The School’s fabulous recipes and fun, creative classes have been featured by the BBC and glossy magazines like Green Parent, Spirit & Destiny and Country Homes and Interiors Magazine. I am a student of the School of Natural Skincare and part of their community now for about a year. The courses I have done or are doing are well taught and give you the fundamentals that are applicable to formulations. I have experience prior to these courses but still find the information extremely valuable. Their community is vibrant and their experts are always on hand to help you to understand simple to complex concepts and procedures. I very much appreciate their mission and relatively unbiased approach to promoting healthy cosmetics and formulation techniques that are good for people, the environment and this for our future. Unlike other schools that promote a natural way or organic way for skin care, this school uses real data, real facts and tends to shy away from fear mongering. Probably the best part of this course and their teaching is the methods used to get you directly involved with making decisions about your business, your products, your exact customers (current or desired) and then servicing those customers with your message and products. Great courses. And the staff and owners genuinely great people. We created this course as a response to many of these frustrated, failed attempts, and the abundance of misinformation on the subject of natural haircare formulation. As product creators ourselves, we’re firm believers in the idea that the only things standing between you and success are information, and the support you need to succeed. Maybe it didn’t work before, when you tried. But now, the information is all at your fingertips. And, you’ll get to learn from the vast experience of our graduates and tutors, as a part of our private learning community—something that is incredibly valuable for continued success! 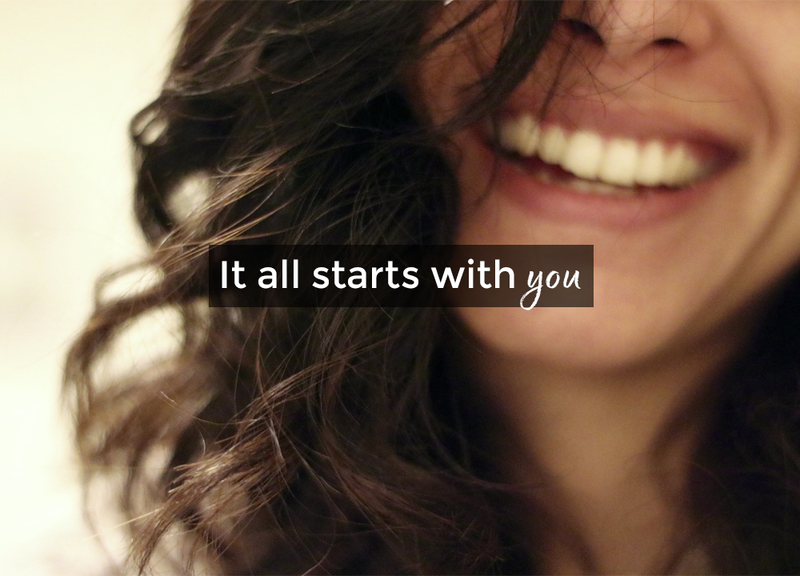 That’s why we began the School of Natural Skincare, and that’s why we’re offering this course to you. We are uniquely positioned in the field of natural beauty product formulation to give students a comprehensive overview of product creation, materials safety, ingredient knowledge, specialized manufacturing know-how, and key business insights to allow your beauty brand to grow, thrive, and flourish. “I took the course to enable me to add a range of haircare products to my brand, Wellness on Tap. Before taking the course I had problems finding the right thickener and identifying natural and biodegradable ingredients. Since taking the course my thickener problem has resolved and I am using all biodegradable ingredients in my products. Maybe you’ve dreamed of running your own business, seeing your products on shelves, turning your hobby into something that truly fulfils you. Maybe you’ve tried to cobble together a plan from resources here and there… made some almost and not-quite formulations… but haven’t quite reached the results you know you’re capable of creating. Maybe instead of forcing it, struggling, trying harder, you can try easier. When you invest in your own future by signing up for the Diploma in Natural Haircare Formulation, you’re declaring that you are ready to take the next steps with your haircare formulation goals. You’re ready to learn everything you need and receive extra support so you can quit wasting time, energy, and ingredients through frustrating trial-and-error. So, are you ready to learn how to create professional haircare products, the right way, from a team of experts? Private online student community: Get support from formulation tutors, students and graduates. Your assignments personally marked by our Cosmetic Scientist. Become an effective formulator, write professional formulations and evaluate your formulations to achieve the perfect product. Describe the biology of the hair, identify the stressors that cause damage to the hair and discuss how a proper haircare routine protects the hair from damage. Set up a small home lab with the appropriate equipment, adhere to good manufacturing practice, carry out key production process techniques, and make batches of varying sizes. Explain how a shampoo works, describe the structure of a shampoo formula, and discuss the role of surfactants in haircare products. 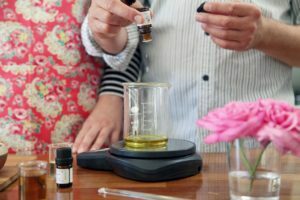 Choose ingredients with confidence, understanding the functions, properties and benefits of a wide range of ingredients, and how to select ingredients for your formulations. Formulate and make a range of natural or organic shampoos, as well as how to adapt your formulation to suit dry hair or oily hair. Explain how a conditioner works, describe the structure of a conditioner formula, and apply your understanding of emulsification to successfully create emulsions. Formulate and make a range of hair conditioners including rinse off conditioner, intensive conditioner/mask, leave-in conditioner and detangling spray. Formulate and make a range of hair treatments and styling products. Comply with cosmetic, labeling, and claims regulations. In this module, you’ll identify the steps in the product design process, develop a product concept using a product development brief, write a formula in the correct way, and evaluate it against a benchmark. 1.01 Cosmetics: Definitions, categories, and regulations You’ll learn how to locate the cosmetic regulations that apply to you, identify the definition of a cosmetic that applies to you, differentiate between a cosmetic and a drug, and understand that what you say about your product can affect the product category it’s put into. 1.02 Your brand values and formulating to a standard In this lesson, you’ll establish your personal or brand values, and decide how you will demonstrate those values. You’ll also review the different standards for natural and organic cosmetics, interpret standards for vegan, cruelty free, fairtrade and gluten-free cosmetics, and select the standard you will adhere to. 1.03 Types of haircare formula This lesson covers how to classify cosmetic formulas as anhydrous, aqueous, or emulsions. You’ll be able to state the characteristics of each formula type, including the types of ingredients they contain, recognize which formula types require preservatives and/or antioxidants, and give examples of the uses of each formula type. 1.04 What is a formula? You’ll learn how to characterize the differences between cosmetic recipes and formulas, summarize the information included in a formula, write a formula in the correct manner, and explain why professional cosmetic products are written as formulas. 1.05 Perfecting your formula This lesson illustrates the steps required to develop a product concept into a final formula, and you’ll be able to identify which steps may need repeating in order to perfect your formula. 1.06 Using a product development brief After this lesson, you’ll be able to articulate what a product development brief is, identify the benefits of using one, select the information to include, and use a product development brief to design your products. 1.07 Using a benchmark This lesson covers what a benchmark is, and after completing it, you’ll be able to explain the benefits of using a benchmark, and complete a benchmark product analysis. This lesson also includes the benchmark analysis worksheet. 1.08 Product Evaluation You’ll be able to identify the product characteristics to evaluate, and complete a sensory product evaluation, after completing this lesson. This lesson also includes the product evaluation worksheet. To understand how to formulate haircare products, you first need to understand how the hair and scalp function. In this module, we’ll take a dive into the anatomy and physiology of hair, so you can understand the root cause of various issues, and learn how to approach them. 2.01 Anatomy We start with a general overview of the function of hair. Then, we’ll discuss how hair grows in the skin. You’ll be able to identify the three parts of the hair follicle, explain which parts of a hair are living and which dead, and identify the hair shaft, hair root, hair bulb, sebaceous glands, arrector pili muscle, and the hair bulge. 2.02 Composition and structure In this lesson, you’ll learn to identify the three primary layers of the hair shaft. You’ll also understand the role the cuticle plays in the appearance of hair and in protecting the cortex against outside factors that cause hair damage. After completion, you’ll be able to state the chemical composition of hair, and explain why the pH of hair care products should be in the slightly acidic range. 2.03 Physical properties After this lesson, you’ll be able to define the most important mechanical property of the hair, summarize how water affects hair, identify which ingredients can penetrate the hair shaft, and describe how friction affects hair, and how to reduce static electricity. 2.04 Hair types and shape This lesson covers the two systems traditionally used to classify hair types. We’ll cover the structural differences in Caucasian, Asian and African hair in terms of its cross-sectional shape, degree of curl, sebum and shine, grooming ease and breakage, maximum length and strength. 2.05 Hair growth cycle and hair loss After completing this lesson, you’ll be able to describe the life cycle of the hair, name the three stages in the life cycle, distinguish between natural hair loss and significant hair loss, and list the factors that can cause hair loss. 2.06 Hair damage This lesson covers many different factors that lead to hair damage, including the four types of stressors that cause damage to the hair, and the characteristics of damaged hair. We’ll explain why protecting the hair through the use of products and avoiding stressors is so important. 2.07 Caring for hair In this lesson, we cover the four aspects to consider in your proper haircare routine for Caucasian and Asian hair, as well as a proper haircare routine for African hair. 2.08 Dandruff and anti-dandruff properties This lesson provides an overview of what dandruff is, what causes it, which ingredients have anti-dandruff activity, and the regulations of anti-dandruff products. Setting up a lab at home isn’t difficult, but you need to know how to do it right in order to achieve the results you want. This module gives you all the information you need to decide what kind of lab setup is right for you, what kind of equipment you’ll need, and how to use and maintain your equipment and workspace so that your products are safe and turn out just the way you want. 3.01. Equipment needed In this lesson, you’ll learn what kind of equipment you’ll need for a home or small-scale lab, what additional equipment is useful for scaling up and manufacturing in larger quantities, as well as in a professional lab setting. 3.02. Good Manufacturing Practice (GMP) GMP is essential for producing high-quality products and is a fundamental requirement if you sell your products. Our handy checklist will ensure that you have easy-to-follow guidelines in place. 3.03. Lab techniques and skills In this lesson, we’ll cover some of the key production process techniques that you’ll carry out in your lab when creating your products. 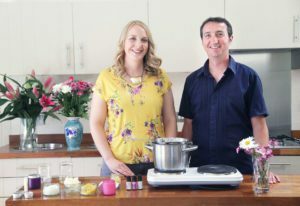 We’ll cover how to weigh ingredients, how to create a water bath or bain-marie, how to clean, sanitize, and calibrate your equipment, and more. 3.04. Testing and adjusting pH This lesson discusses the when, why, and how of measuring pH, as well as how to work with and care for a pH meter, and how (and why!) to adjust the pH of your products. 3.05. Calculating batch sizes After this lesson, you’ll become confident working in percentages and calculating weight-based measurements for different batch sizes. 3.06. How to choose packaging This lesson provides an overview of the purpose of cosmetic packaging, as well as eight factors to consider when choosing packaging, including formulation type, dispensing component, ability to protect the product, compatibility of ingredients, brand appearance, trends, cost, and availability. Shampoo is probably the first cosmetic product that comes to our minds when thinking about hair care, and it tends to be the basis of any haircare routine. This module will introduce the function, structure, and formulation of shampoo. 4.01. Shampoos: An introduction In this lesson, you will learn the primary function of shampoo, how shampoo works, and the types of shampoo available. 4.02. The structure of a shampoo formulation In this lesson, we will cover the typical structure of a shampoo formula, the types of ingredients used and their function, and what factors to consider when choosing ingredients. 4.03. The science of surfactants Surfactants are an important category of ingredient in cosmetics, and the basis for every shampoo and conditioner formulation. In this lesson, you’ll discover what a surfactant is, as well as the structure and function of surfactants. 4.04. Types of surfactants for haircare In this lesson, we will cover primary and secondary surfactants, classes of surfactants, characteristics of surfactant classes, as well as many natural and organic options for surfactants. 4.05. Calculating active matter In this lesson, we will cover what active matter of a surfactant is, how to calculate active matter in a formulation, and how to apply the knowledge of surfactant active matter in formulating. You’ll also gain access to the active matter calculator, for your own formulations. In this module, we’ll explore the functional and aesthetic ingredients which can be used to enhance the value and performance of your haircare products. 5.01. Thickeners Thickeners are primarily used in cosmetics and haircare products to enhance the viscosity of the mixture. In this lesson, we’ll cover the purpose of thickeners, some natural and synthetic thickener choices, as well as how to choose which thickener to use. 5.02. Conditioning agents In this lesson, we’ll explore some of the additional ingredients that have conditioning effect on the hair, including emollients, occlusives, humectants, natural silicone replacements, and cationic ingredients. 5.03. Preservatives and chelators Preservatives are included in cosmetic formulations to ensure that the product is safe, and they’re essential to prevent the growth of bacteria, fungi, and mold. This lesson will cover how preservatives work, how to choose the one that’s right for your product, as well as the function of chelating agents. 5.04. Pearlizers, fragrance, and colorants In this lesson, we will explore some aesthetic ingredients that are included mainly to make the product more appealing, rather than being functional or active additives. This includes pearlizers and opacifiers, fragrance, and colorants. 5.05. Active ingredients: Cosmeceuticals, vitamins, and plant extracts There are many active ingredients available to enhance your products performance. In this lesson we will take a closer look at some of them, including vitamins, cosmeceuticals, and botanical extracts. 5.06 pH adjusters It is crucial that your haircare products have the correct pH or they could actually damage your hair. In this lesson we will briefly cover which pH adjusters are used in cosmetic products. 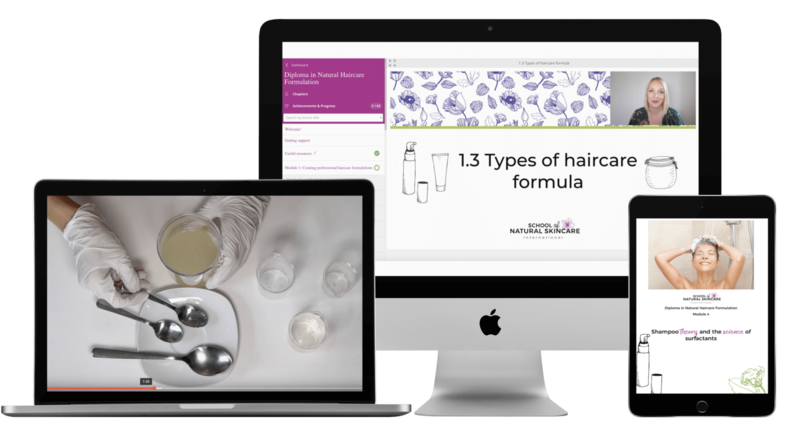 Our formulation templates, examples and worksheets will take away the guesswork and help you create haircare formulas like the professionals, and our video demonstrations show you step by step how to make each type of shampoo. In this module, you’ll learn how to formulate a variety of different shampoos for different hair types and haircare concerns. 6.1 Formulating different types of shampoo This lesson covers formulating several different types of shampoo, including regular shampoos, daily-use shampoos, conditioning shampoos, clarifying shampoos, and 2-in-1 shampoos. 6.2 Formulating shampoo for different hair types Learn how to modify shampoo formulas to suit different hair types including normal, dry, oily and African hair (which has some specific requirements). 6.3 Formulating regular shampoo We’ll share a formulation template plus an example formulation for a Gentle Aloe & Chamomile Shampoo. We’ll show you how to modify the formula for dry hair and oily hair too. It’s like looking over a formulator’s shoulder as they formulate! 6.4 Formulating clarifying shampoo Learn how to formulate clarifying shampoo by using our formulation template and watching step-by-step how our example formula for Citrus Burst Clarifying Shampoo is created. This example meets COSMOS standards too! 6.5 Formulating daily use shampoo Learn how to formulate a shampoo that is gentle enough to use everyday. Plus we’ll share a formulation example for a Rosemary & Nettle Daily Use Shampoo. 6.6 Formulating conditioning shampoo Conditioning shampoos include extra conditioning and nourishing ingredients such as humectants, emollients and natural silicone replacements. Create your own using our templates and worksheets. Plus watch as we formulate a Kelp and Mint Conditioning Shampoo with an ECOCERT approved surfactant. 6.7 Formulating anti-dandruff shampoo Discover how to use natural active ingredients to reduce dandruff plus watch as we formulate a Tea Tree Anti-Dandruff Shampoo to ECOCERT standards. 6.8 Formulating solid shampoo bars Shampoo bars are really increasing in popularity! With the move to reduce the amount of packaging we use in our daily lives, these solid bars are a hit. Many on the market use harsh surfactants like SLS. In this lesson we’ll teach you to create your own gentle, natural (SLS free) solid shampoo bars. We include two examples a Fragrant Orange Shampoo Bar and Fortifying Shampoo Bar that is formulated to COSMOS standards. 6.9 Formulating your own shampoos Now it’s your turn! Use the Product Development and Formulation worksheets to create your own beautiful shampoo formulations! 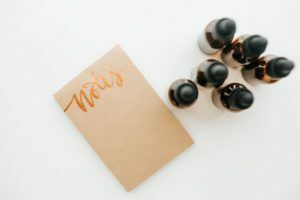 6.10 Troubleshooting Shampoos Just incase you run into any difficulties, we’ve provided a handy checklist that will help you troubleshoot any issues you may encounter when creating your shampoos. Conditioners is probably the second most popular product used on hair, and is also a great way to deliver specific, targeted ingredients to the hair and scalp. This module will introduce the function, structure, and formulation of conditioners. 7.01. Conditioners: An introduction In this lesson, we will cover what conditioners are, how conditioner function, different conditioner ingredients, and different types of conditioner. 7.02. The structure of a conditioner formulation In this lesson, we will cover the typical structure of a conditioner formula, the types of ingredients used and their function, as well as what factors to consider when choosing ingredients. 7.03. Creating emulsions Understanding emulsions is essential to creating many different products, and conditioner is no exception. In this lesson, we will cover what an emulsion is, the two types of emulsion, the process of making an emulsion, the phases of an emulsion and the viscosity of an emulsion. 7.04. 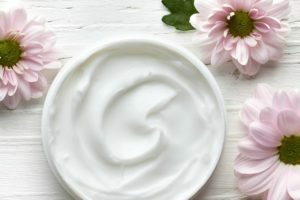 Types of emulsifiers for haircare In this lesson you will learn about most common emulsifiers used in haircare products and which of them are permitted in certified natural and organic products. 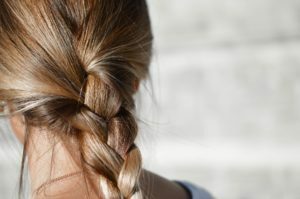 8.1 Formulating different types of conditioner This lesson explores how to formulate several different types of conditioners, Including rinse-off conditioners, intense conditioners, masks, leave-in conditioners, and detangling sprays. 8.2 Formulating conditioner for different hair types After this lesson, you’ll know how to modify conditioner formulas to suit different hair types including normal, dry, oily and African hair (which has some specific requirements). 8.3 Formulating rinse-off conditioners Learn to formulate the most popular type of conditioner! Plus look over our shoulder as we formulate a COSMOS standard Shea and Coconut Conditioner for Dry Hair so you can see step-by-step how a rinse-off conditioner formula is put together. 8.4 Formulating leave-in conditioner Leave-in conditioners make combing easier and reduce static electricity. As they are left on the hair there are some special considerations to be aware of when formulating. Plus we’ll share our example formula for a Volumizing Green Tea Leave-in Conditioner. 8.5 Formulating intense conditioner/ hair masks Intense conditioner is usually thicker and can be referred to as hair mask. It benefits very dry and/or damaged hair and contain higher amounts of cationic ingredients along with oils and butters to nourish the hair. Plus we’ll give you a gorgeous formula for an Argan Repairing Intense Conditioner formulated to COSMOS standard. 8.6 Formulating detangling spray These leave in sprays help detangle your hair making combing much easier. Perfect for children or longer hair. Watch as we formulate a Lavender & Mandarin Detangling Spray. 8.7 Formulating co-wash Co-wash stands for ‘conditioner only’ wash. Co-wash is very popular with people with African hair, due to the fact that that type hair is rather dry and can get even drier after shampooing. Co wash provides a little bit of cleansing action and a lot of conditioning, which benefits dry hair. We include a formulation example for a Herbal Boost Co-wash.
8.8 Formulating solid conditioner bars This lesson covers how to formulate solid conditioner bars, such as our luscious Honey & Banana Deep-Conditioner Bar. Solid conditioner bars are hugely popular and with good reason. Soon you’ll be formulating and making your own! 8.9 Formulating your own conditioners This lesson includes product development briefs, formulation templates, and worksheets to enable you to formulate your own range of gorgeous conditioners. 8.10 Troubleshooting conditioners After completing this lesson, you’ll know how to troubleshoot the most common issues that arise when creating conditioners. There is a whole range of possibility for haircare products beyond shampoo and conditioner! This module covers a variety of treatments and specialized haircare products to styling, protective, and clarifying solutions for the scalp. 9.1 Hair treatments and styling products: an introduction In this lesson, you’ll discover the different types of hair treatments you can formulate to natural and organic standards. 9.2 Formulating hair oil Learn how to formulate nourishing hair oils and practice with our example for a Reviving Hair Oil. 9.3 Formulating anhydrous hair mask/butter Formulate hair masks and butters to use as a pre-wash treatments or a leave-in after-wash treatments. We’ll share a formulation example for a beautiful Monoi Beauty Butter for Hair. 9.4 Formulating hair wax This 100% natural styling product lubricates the hair, creates a wet-look effect, and offers light hold. Formulate your own plus receive our example Mojito Hair Wax formula. 9.5 Formulating anti-frizz spray This is the only product on the entire course that isn’t formulated to natural or organic standards. For this particular product the natural alternatives just aren’t as effective. 9.6 Formulating dry shampoo Reduce oiliness on the scalp and increase the time between washes with a natural dry shampoo. We’ll share our example formula for a Purifying Dry Shampoo with Clay plus a formulation template so you can easily formulate your own! 9.7 Formulating clay based mask Gently clean oil and dirt from the scalp and hair with a clay based hair mask. Enjoy our example formula for a Detox Clay Hair Mask. 9.8 Formulating Ayurvedic paste shampoo Discover Ayurvedic saponin-rich plant powders that are used to gently clean oil and dirt from the scalp and hair. We’ll share our formula for an Ayurvedic Color-protect Paste Shampoo. 9.10 Formulating scalp serum Formulate a gel-based scalp serum to deeply nourish and tone skin on the scalp, to stimulate hair roots and protect newly grown hair. Includes our example formula for a Tonifying and Protecting Scalp Serum. 9.11 Formulating hair gel Formulate a COSMOS standard hair gel that offers medium to strong hold for hair styling purposes. Practice with our example Nourishing and Styling Hair Gel formula. 9.12 Formulating salt spray Salt sprays offer mild hold, enhance curls and create a tousled beach look. They are easy to make and fun to use! We’ll share our Summer Look Salt Spray formula for you to practice with. 9.13 Formulating heat protection spray Learn about natural protective ingredients that can be used to formulate a heat protection spray. We’ll share our example formula for a Grapefruit Thermo-protect Spray that uses innovative, natural protective ingredients. 9.15 Troubleshooting hair treatments and styling products After completing this lesson, you’ll know how to troubleshoot the most common issues that arise when creating hair treatments and styling products. Understanding how to formulate safe products that will meet standards for sale in your country is essential for bringing products to market. This lesson covers the cosmetic regulations that apply to products being sold in the USA, Canada, UK, EU, India, South Africa, Australia and New Zealand. Additionally, we provide information on how to find other regulations, as applicable, in other locations. 10.1 Overview: selling your products legally In this lesson we will cover the seven steps to selling your products legally. Plus receive a bonus Manufacturing Log template! 10.2 Cosmetic product testing In this lesson we cover types of cosmetic product testing and assessment explained, including microbiological/challenge testing, stability testing, Cosmetic Product Safety Reports, and other (optional) tests. 10.3 Cosmetic regulations by country In this lesson we cover the cosmetic regulations for USA, Canada, India, New Zealand, Australia, UK, EU and South Africa. 10.4 International Fragrance Association (IFRA) guidelines and calculating allergen levels In this lesson cover IFRA standards and definition of classes, IFRA conformity certificates, allergen reports and calculating allergen levels in your product. Join the Diploma in Natural Haircare Formulation! Equivalent to approx. GBP £792 or AUD $1389 (exchanges rates fluctuate so please check the current rate prior to enrolling). Equivalent to approx. 3 x GBP £299 or 3 x AUD $535 (exchanges rates fluctuate so please check the current rate prior to enrolling). When you join a payment plan the first payment is paid immediately and subsequent payments are paid automatically one month apart. Sample a selection of course materials inside our online classroom. Instant access to both courses. I am really happy that I took the step and signed up for the Diploma in Natural Haircare Formulation. 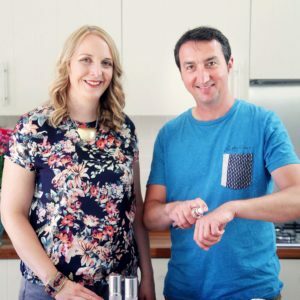 “Before I started the course I didn’t know anything about making haircare products – I was at the stage of making homemade soap bars or easy oil based products. So this course was completely different and I had lots of new things to study, such as surfactants and preservatives. I am really happy that I took the step and signed up for the Diploma in Natural Haircare Formulation. I didn’t have clue how to make a proper working shampoo with all the important ingredients and I have learnt so much. I have already made my first shampoo and testing it on myself, it looks very promising. I don’t have to ever buy shampoo from shops again! This course has given me a solid base of knowledge and the confidence to formulate my own products. “I already had some experience of creating haircare products but I wanted to delve more into the science of hair to formulate products to suit different hair types. I knew how to formulate for oily or dry hair, but not for other types or types in between, so the course was very helpful. I now know how to formulate correctly for African hair type. I can now calculate the active matter for my shampoos formulas as I didn’t know how to determine this or what active matter to aim for. The Diploma in Natural Haircare Formulation course provided me with some new formulas such as making a solid shampoo that’s soap free, a conditioner bar and heat styling products. I particularly enjoyed the Module on ingredients as it’s so huge; I love it! It provided me with such a wide range of actives and ingredients to use in hair products and I have learnt which ingredients I can incorporate together as I wasn’t sure how to do this. Yes! The Diploma in Natural Haircare Formulation is accredited by the CPD (Continuing Professional Development) Certification Service. The CPD Certification Service is the leading independent CPD accreditation institution operating across industry sectors. They are a globally recognized institution and accredit courses by prestigious organisations including the University of Westminster and the London School of Economics – and ours, too! The CPD Certification Service assesses each course individually, evaluating the quality of training materials and learning activities against the highest standards. We are delighted to have passed the formal and impartial CPD accreditation process carried out by the team of experienced assessors at the CPD Certification Service. See our Accreditations and Memberships page for more information on our professional memberships and accreditations. Yes! The course is a fully online training program that consists of online training videos, downloadable workbooks and worksheets and an online student support group. It is designed to be taken from home from anywhere in the world and the products we make meet global quality and safety standards. We’ll provide information on ingredient suppliers in many different countries and will guide you to the relevant regulations wherever you are based, too. We have students in over 50 countries so you’ll be joining a thriving community of global students when you join! Now! You can get started with the course right away. You’ll receive instant access as soon as you enroll. Do you teach how to formulate products for African hair? Our mission is to teach *how* to formulate for specific hair types, including African hair. We teach you about the physiological and anatomical characteristics that are typical for different hair types and from this knowledge we build your understanding and ability to formulate for different hair types. In addition to this we provide formulation examples suitable for many hair types, including African, and also formulations targeted specifically at African hair types. 6.2 Formulating shampoos for different hair types includes formulating for African hair. This means you’ll be able to adapt/create formulations designed for the needs of African hair. 8.2 Formulating conditioners for different hair types includes formulating for African hair. This means you’ll be able to adapt/create formulations designed for the needs of African hair. 8.7 Formulating co-wash Includes a formulation template for co-wash (which you can adapt to create your own formulation) and a formulation example for co-wash for dry hair. 9.2 Formulating Hair treatments: We include treatments suitable for African hair including hair oil, hair butter/mask, clay hair mask. 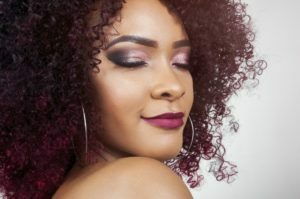 The course has been designed in such a way as to teach students how to care for and formulate for African hair types (and other hair types too). The course is a self-study, self-paced course so you can study at a time that suits you and complete the course as quickly or slowly as you wish. All the lessons are pre-recorded, so they are available for you at any time. You will have access to the course inside the online classroom for 18 months. You can also download many of the materials to save on your own computer and keep for longer than that and if you wish to renew your access for another year this is possible too, for a small fee. Yes you can certainly take the Diploma class as a beginner. In fact, it will ensure that you learn the correct way to design and create products right from the start, so it is a great way to begin your journey with making products! We include all the foundations of formulating in Module 1: Creating Professional Haircare Formulations and the practicalities of setting up and lab and making products in Module 3: Lab Skills, Equipment, and Packaging. These modules have been included to enable beginners to join the course and are a useful refresher for students with more experience. The course is primarily designed as a self-study course. It takes a very thorough step-by-step approach and each module builds on the next. Therefore as you progress through the course you’ll gain the skills and knowledge needed to become an expert formulator. When you sign up to the course you also get to join our private online student community (hosted via Facebook) to meet and discuss with other students, who have lots of knowledge, expertise and ideas to share. There we also host a weekly Q & A with our Formulation Tutor, who can answer any questions you have as you work through the course. Where do I buy the ingredients and materials that I need? As part of the course you receive a comprehensive global supplier list featuring hundreds of cosmetic suppliers all around the world. We have featured a range of ingredients in the course including those that are more common and easy to obtain. Depending on where you are based and what you want to buy you may need to order specialist ingredients from overseas. It is also possible to substitute ingredients for similar ones.